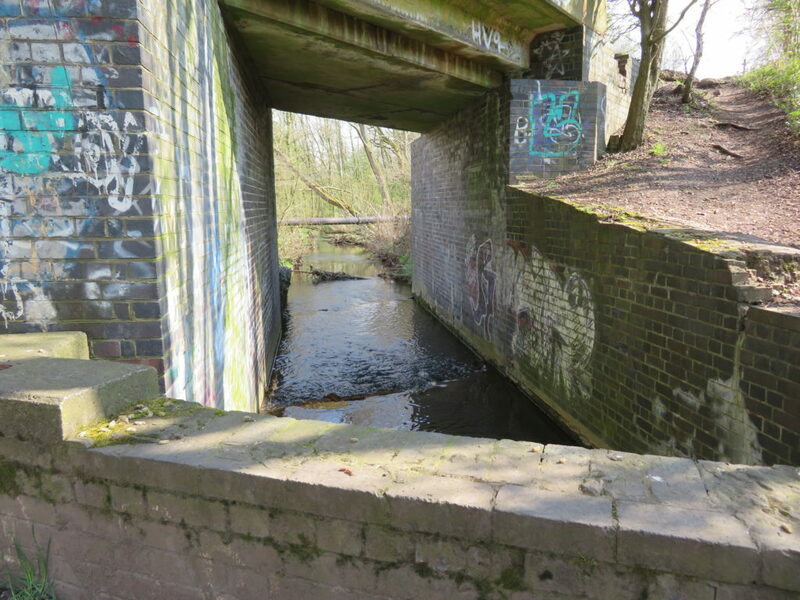 Another Benjamin Outram canal, the Nutbrook, which fully opened in 1796, was an independent branch of the Erewash built by local businessmen to carry coal and ironstone. 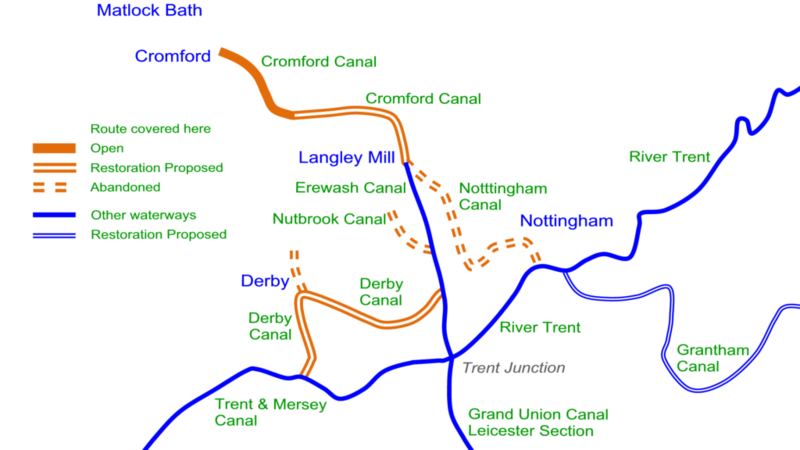 The 4½ mile long canal ran from the Erewash Canal near Stanton Lock, just north of the point where the M1 crosses the Erewash Canal, to Shipley Wharf near Ilkeston. It was built with 13 broad locks capable of taking Trent barges, in reality though it was mainly used by narrowboats. 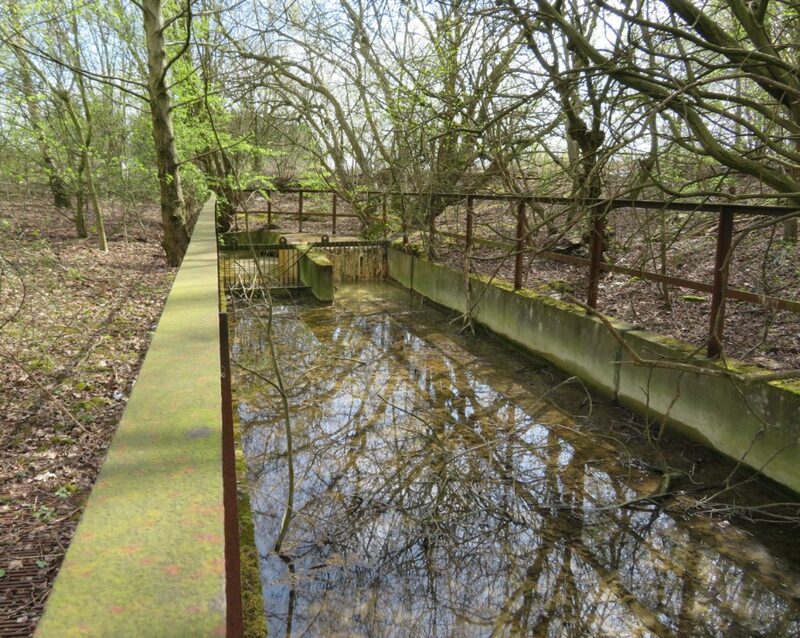 2 reservoirs were built near Shipley to supply water for the canal, this supply was also used to feed the boilers at the Ironworks. With short branches off the canal, many linked to tramways to serve the many mineral works in the area. Even in its heyday this was never a busy canal, with an average of just 9 boat movements per working day. As well as competition from the railways it also suffered from subsidence and leakage and was informally closed in 1896. 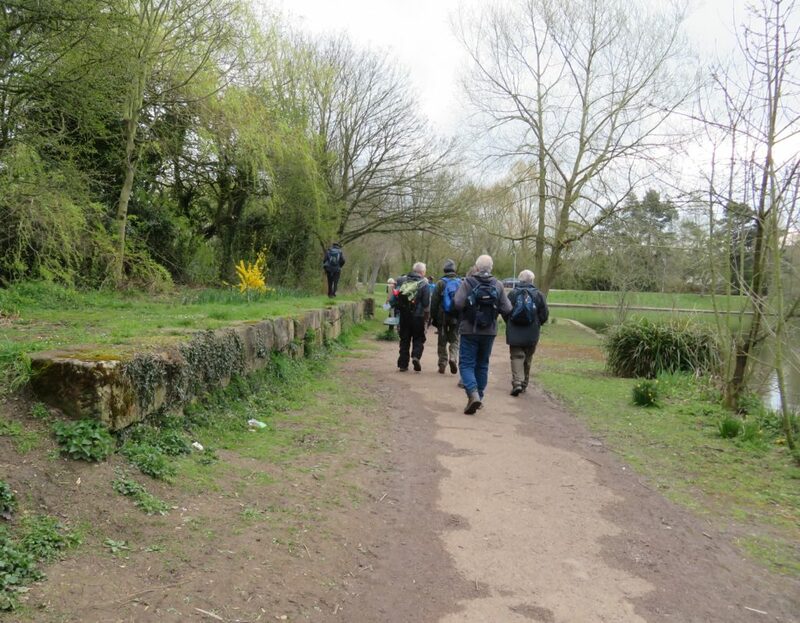 Just the bottom section from the Erewash to Stanton Ironworks remained in use and Stanton Ironworks eventually became the owners of the canal. The last boat left this section of the canal in 1949. Given it’s early closure it’s amazing that it’s still possible to walk a good part of it’s length, that some of it is still in water and remains of locks can still be seen. 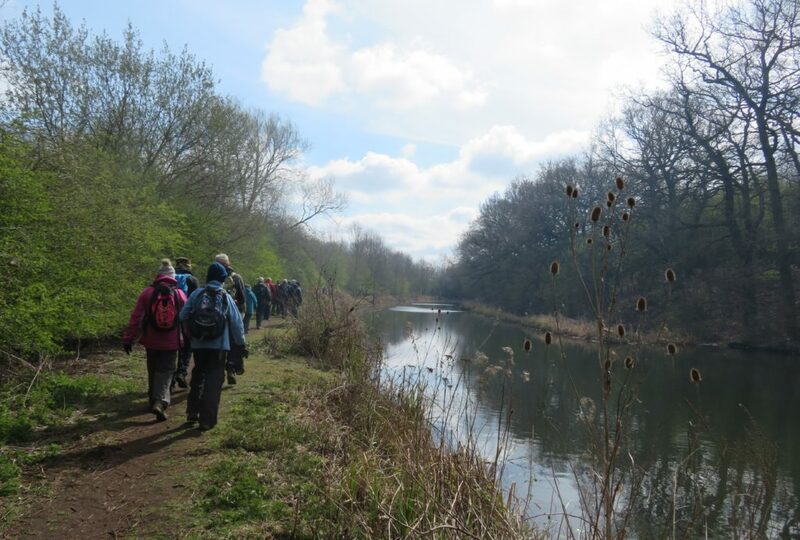 A very large group of us, including several new members, met approximately halfway along the canal at Straws Bridge (previously Moor’s Bridge), where there is a large public car park next to a lake. 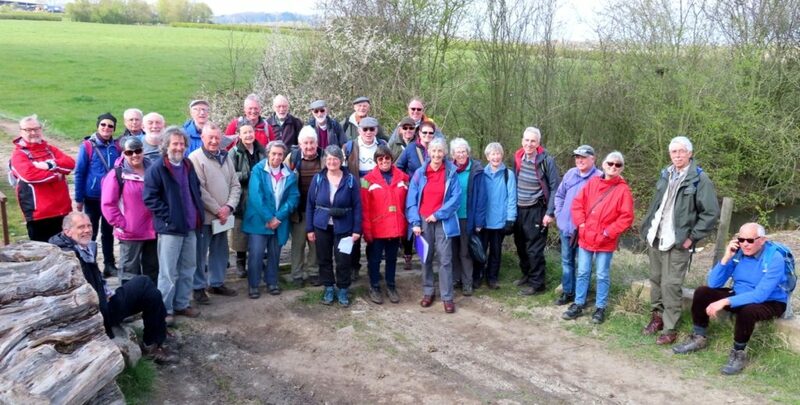 With Mick Golds kindly accompanying us as guide we set off to explore the southern section of the canal. Crossing the A609, we were soon on the line of the canal, here Hunloke’s Arm, which served the ironworks and pits of West Hallam, went off to the right. 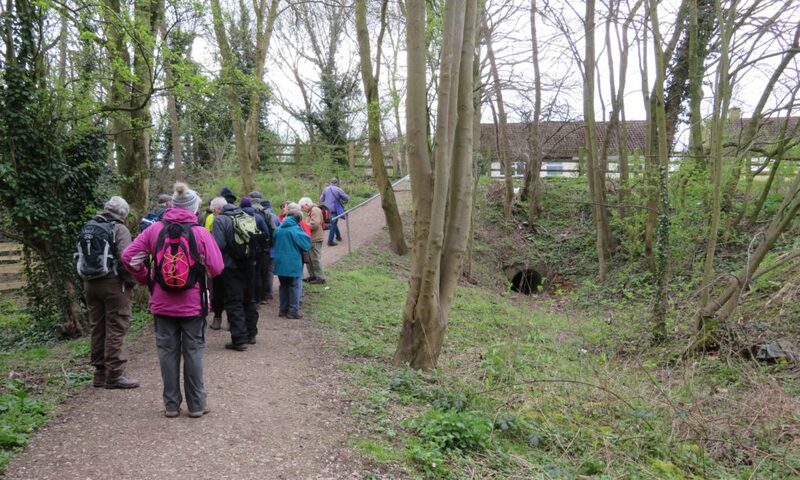 Shortly after we encountered locks 6 and 5, one wall of each remains, the footpath runs through lock 5 while there an now a lake to the other side, this didn’t exist when the canal was operating and appears to be an amenity area for the surrounding modern housing estate. We were soon walking on the towpath with the visible line of the canal on one side and the Nut Brook (which runs close to the canal for much of the length) on the other. The canal goes under the A6096, once Little Hallam Bridge, now culverted with modern houses above, this was originally the site of Bridge House, the company’s very impressive headquarters. 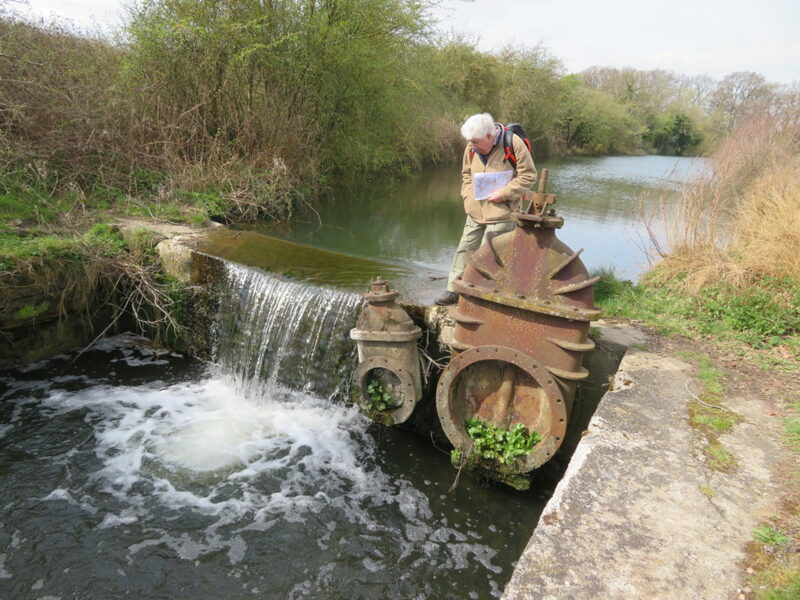 After the remains of lock 4, which is reasonably intact, water started to appear in the canal and we reached a weir in the Nut Brook. This is a later feature built to provide a source of water for the lower part of the canal and Stanton Ironworks after the rest of the canal closed cutting off the water from the reservoirs. From here the canal is properly in water. A little further on are the abutments of what was once a fine stone bridge, but now has a flat concrete deck. Sow Brook (or Lord Stanhope’s Arm) left the canal on the offside just after this, then the remains of lock 3, which has two rather unusual sluices in a weir at the top. 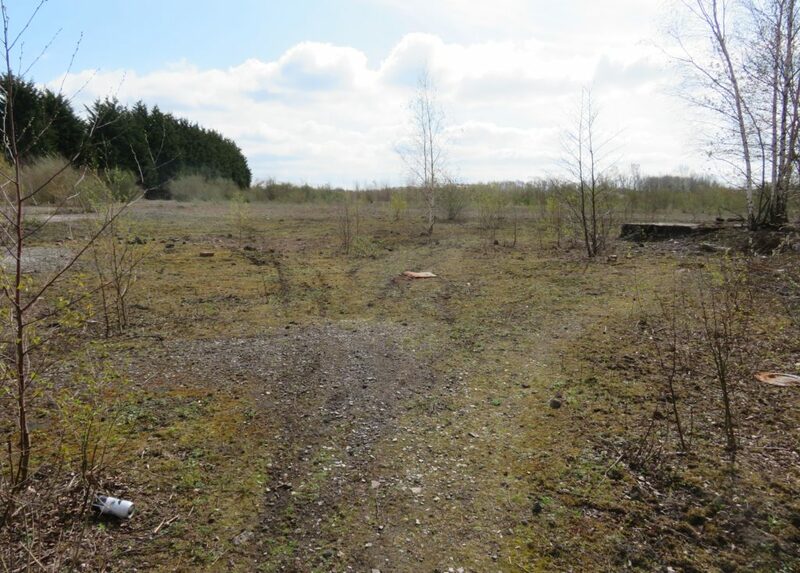 Then the canal suddenly stopped and we emerged onto a rather desolate area that used to be the huge Stanton Ironworks. 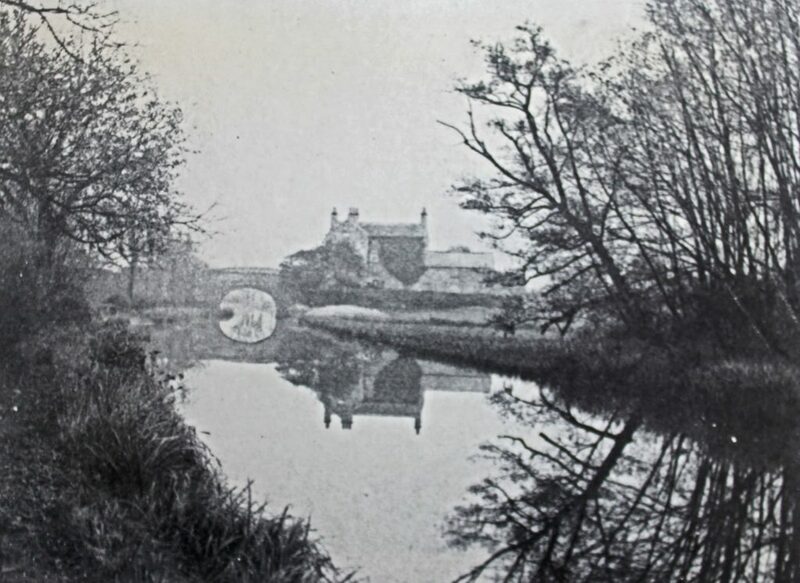 This was the part that had been kept open after 1895, the canal had run straight through the Ironworks and included a toll house, 2 locks and 2 bridges but in 1962 was partly filled in and eventually completely obliterated. We turned at this point and headed back, now following the railway track of the Great Northern Railway. Lunch had been planned at the Bulls Head at Ilkeston. However, a message came a few days before the walk that the landlord and chef had walked out, understandably causing our organisers something of a panic. However all was well, by Saturday a new landlady was in situ and as there was no chef we were allowed to eat our sandwiches in the pub while enjoying the excellent beer. After lunch we explored the Northern stretch of the canal. 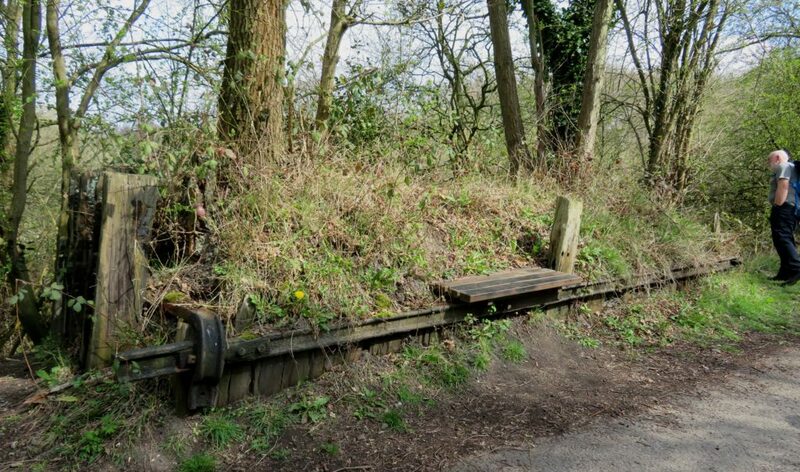 This section is crossed several times by railway lines and we were soon puzzling over a strange affair at the side of the path where pieces of railway line surrounded a clump of trees with what appeared to be a seat in the centre. Mick explained that this was a buffer stop for a siding, with a heavy piece of forged rail holding it together. The first railway crossing is now a mound that you have to walk over, but the second one, albeit narrowed, is still in situ. 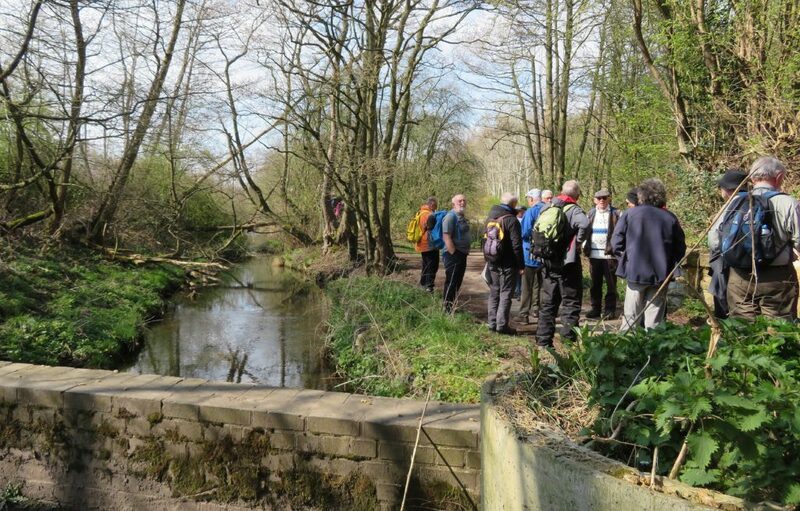 There were two more locks to examine on this section and another stretch in water, this time with the type of rough towpath that you expect to encounter on a disused canal. Emerging from this tree lined section the canal came to an abrupt halt, here a large area of opencast mining has completely obliterated the line of the canal. 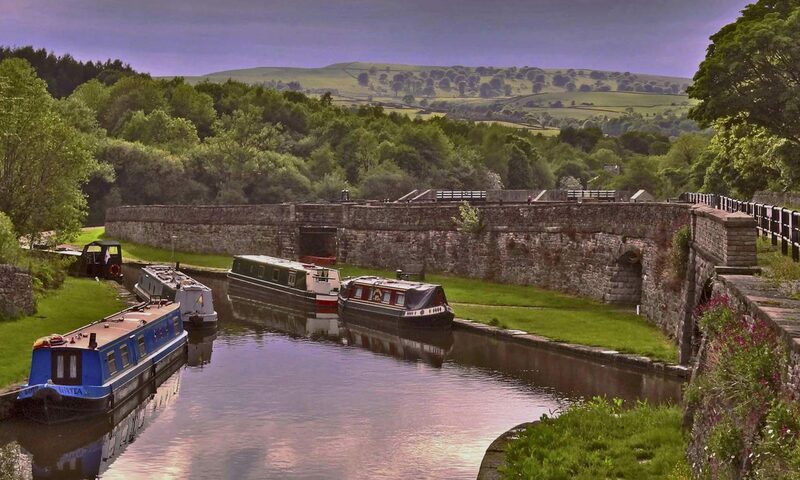 Ahead there would once have been the last 3 locks and Shipley Wharf. Beyond that Shipley Reservoir is now part of Shipley Country Park and marked on current maps as a lake. We turned again and returned to the car park. 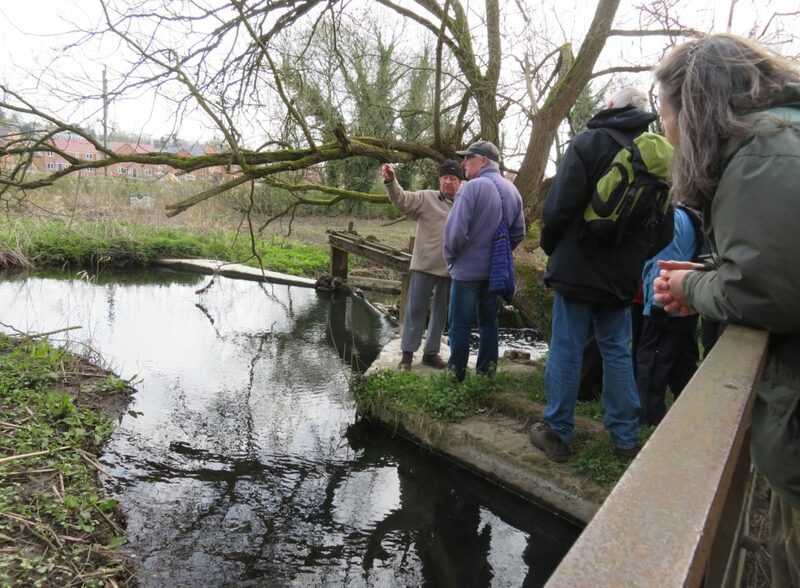 Thanks were given to Mick for imparting his extensive knowledge of the area and making sure we didn’t miss any features, and to Dave and Izzie for providing such a great start to our 2019 programme.